The purpose of air canal is to separate specifically light particles from granular products such as wheat, maize, barley, etc. 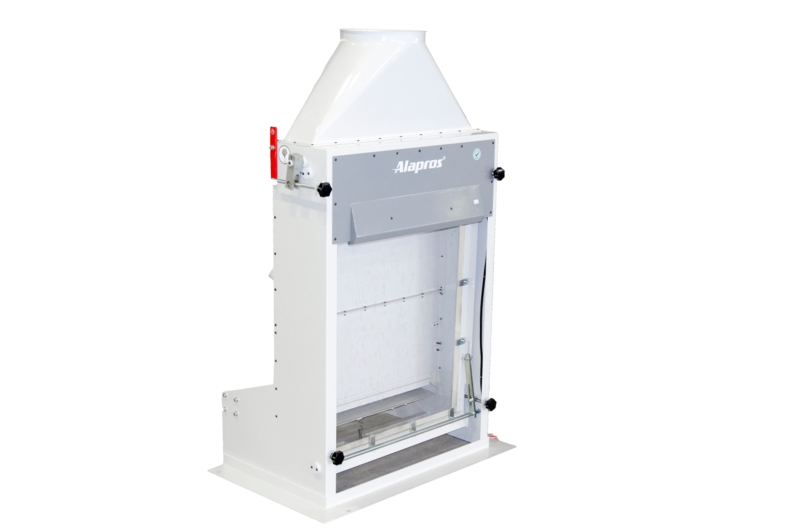 The aspirator may be used as stand-alone machine or in combination with the separator, depending on the design. The machine is provided with a single product inlet, and an even distribution of product is created over the entire width by means of a motor driven eccentric cam. 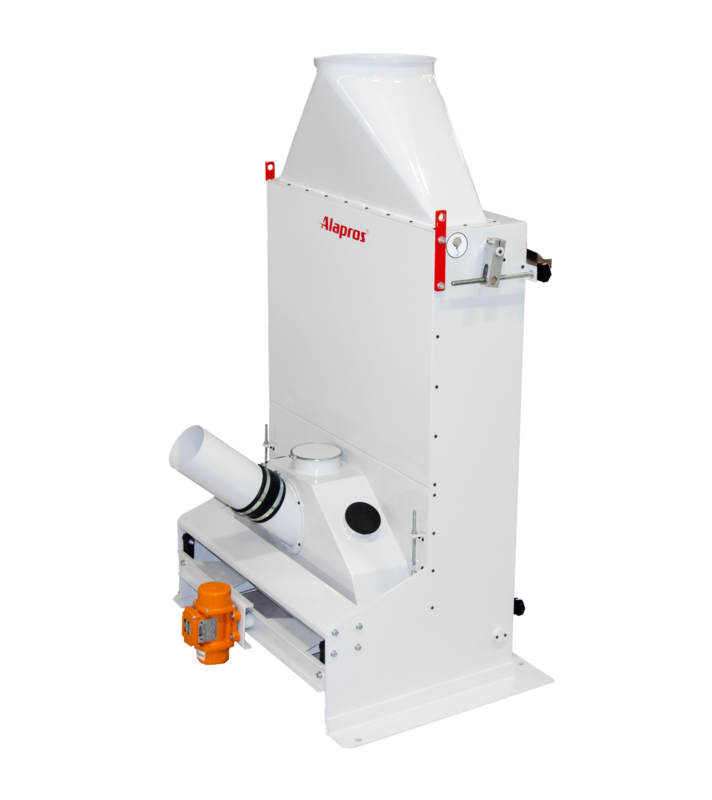 When used in combination with the grain separator, the product is fed directly into the machine, already evenly distributed, without the need for any additional drive or cam. This allows aspiration air to be drawn evenly through the product stream, where the light particles are lifted into the actual separating zone of the channel. The adjustable rear wall allows for an optimum air velocity, depending on product densities. 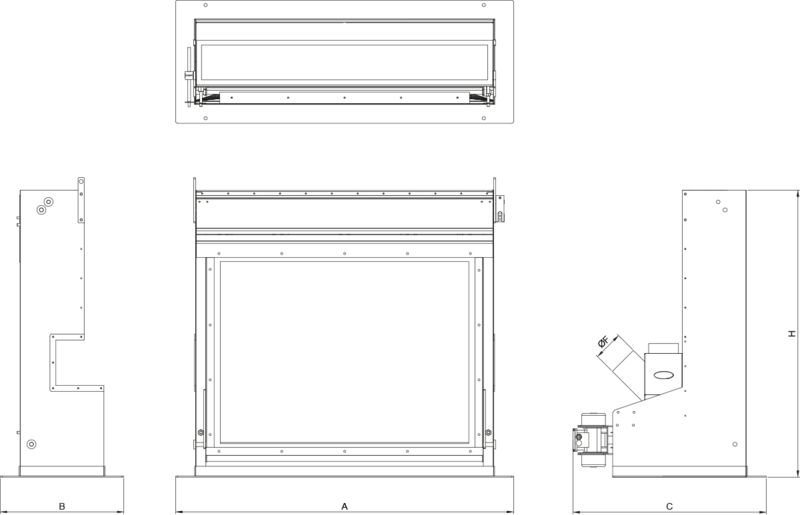 Machine design is as follows; Steel housing with adjustable rear canal wall designed as observation window. Air control gate for adjusting the air volume. Channel lighting as an option for better observation of machine adjustments. Depending on the design, may be used as z stand-alone machine or in combination with the separator. Excellent separating effi ciency thanks to selective control of air flow.